In any special event or celebration, it is without doubt that the venue and program of such an event hold the key for success of such an event plan. It is therefore imperative that planning for such an event must be precise and well thought out. 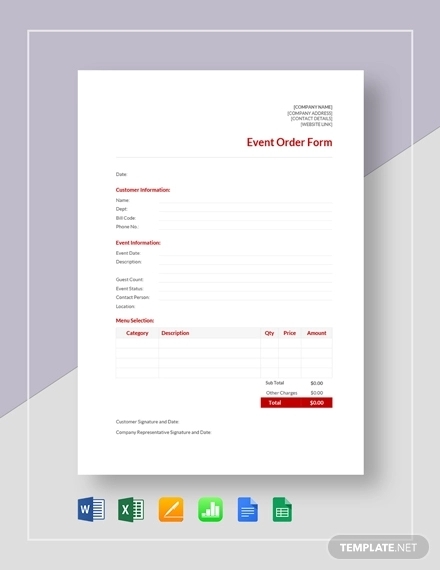 Order templates and examples in PDF are seen on the page to help guide you in the making of an event order. Feel free to scroll down to get a closer look at all the examples being offered. They are made available for download by clicking on the download link button below the sample. What Is an Event Order? An event order is a commercial agreement between an individual who intends to hold an event and an establishment who caters to events. It is a kind of job order if the job is catering. The agreement defines the details including the food and beverage, location and room set up, any equipment needed, and staffing requirements in connection to the event. 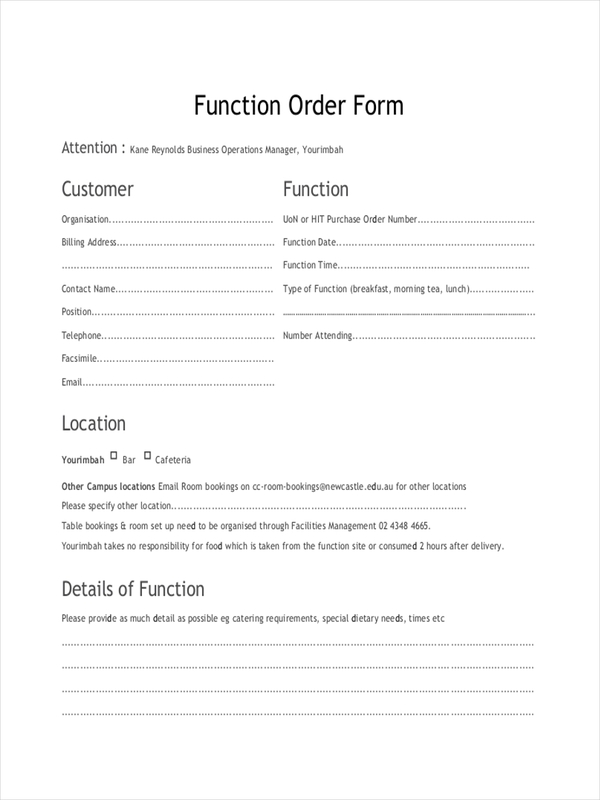 Purchase order examples provide you with further information regarding an event order. Make sure to click on the download link button below the sample to gain access to the sample file. 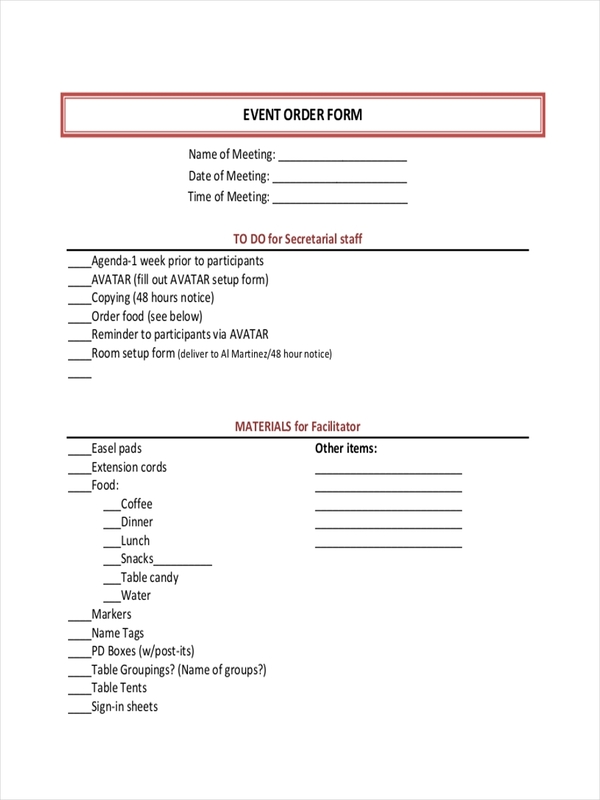 In creating an event order, the following basic items are needed to be shown in the general section of an event order. Free order examples and delivery order examples in the page illustrate further how an event order looks like and how it is structured. Be sure to get a closer look at the sample files by clicking on the download link button below it. 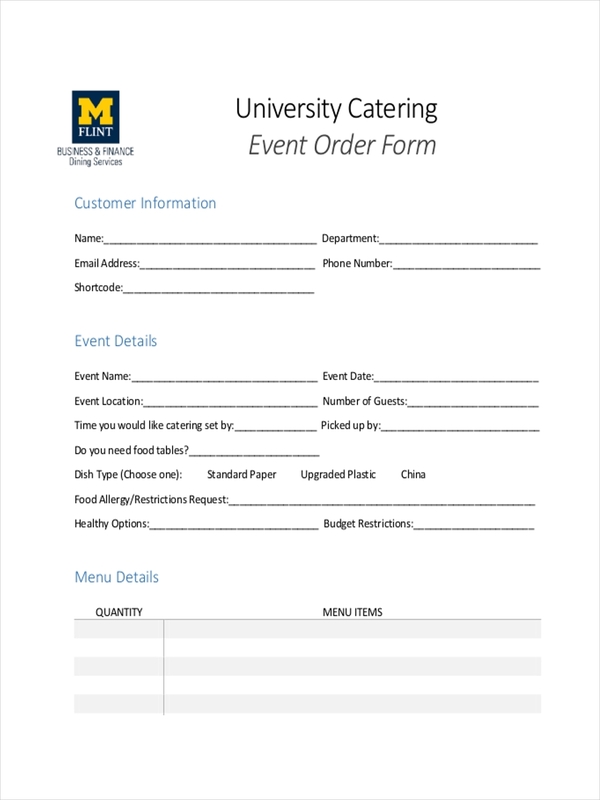 What Is the Purpose of a Banquet Event Order? 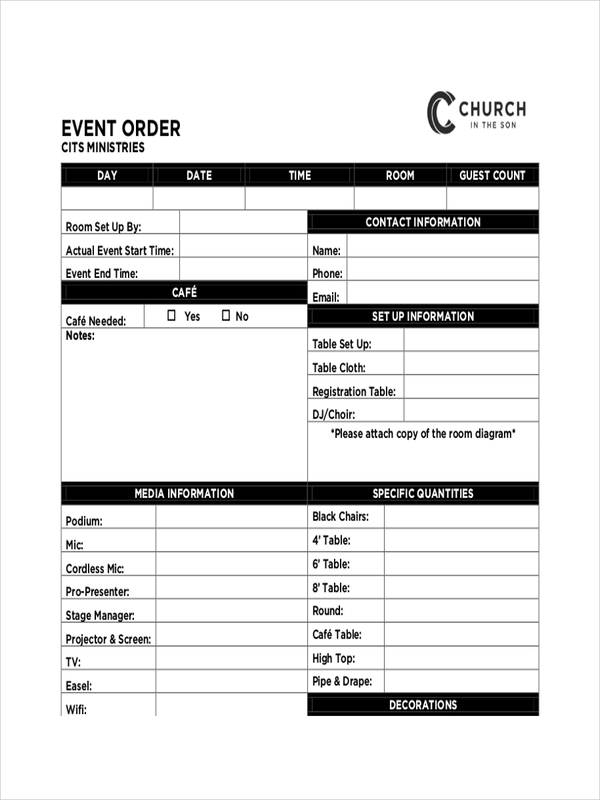 A banquet event order outlines the details of an event. It is made as a guideline for the hotel or establishment regarding the flow of the event and the details such as the type of food or music or room arrangement that will be made for such an event. 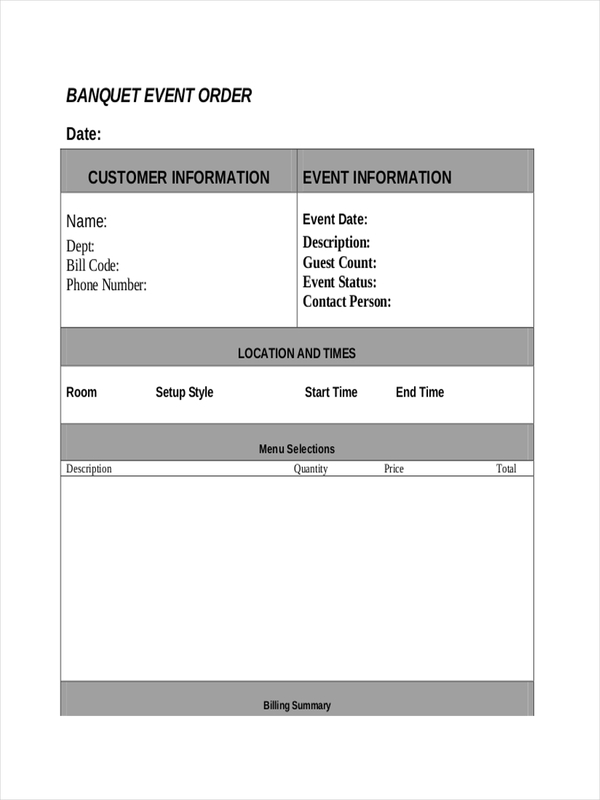 Order examples in Doc and change order examples seen on the page contain the structure and format of an event order. Feel free to have a look at the samples to gain additional information. Set up the sequence of events. Include detail from start of the event to the end. Order of the menu. List items in the menu and the order that they will be served. Set up equipment. 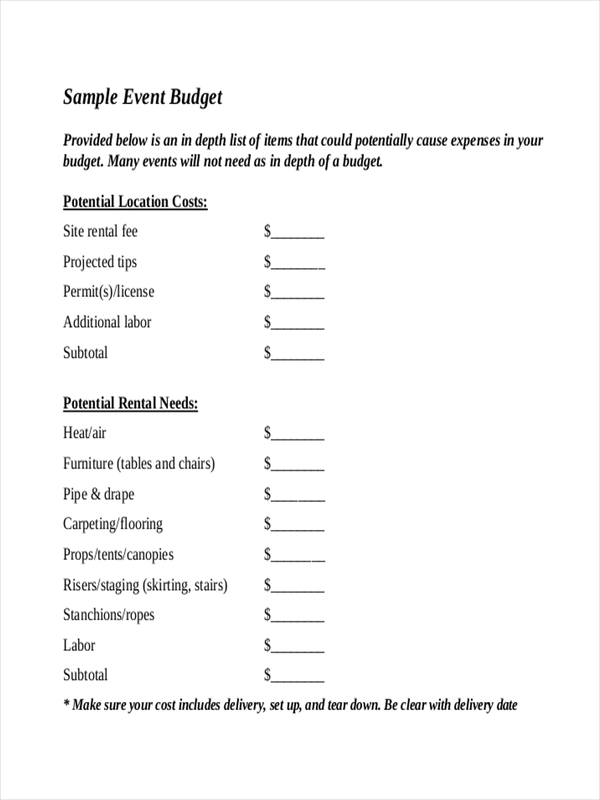 Describe how the area for the event is to be set up and what equipment is needed. Special requests. 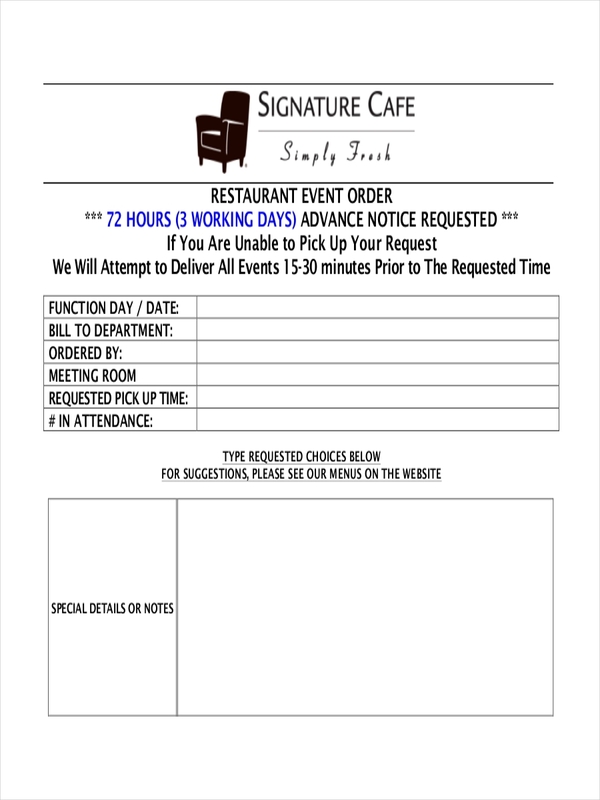 Usually made for the menu items, special requests should be noted and highlighted where it is to be applicable. 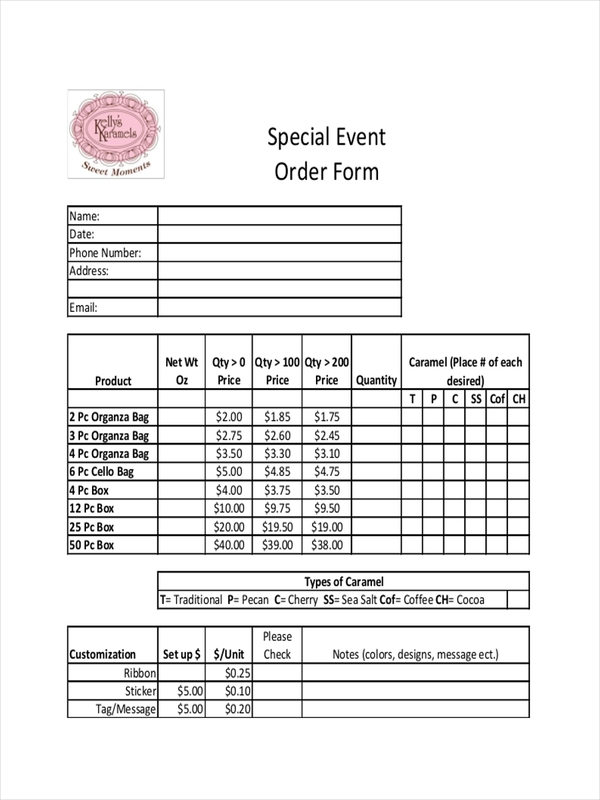 Vendor information for the caterer or flower arrangement must be noted or shown.